The system of world governance built on US dominance, the Dollar and the Western nature of international institutions is crumbling. The United States is still the single most powerful country in the world but it is now too "small" to maintain its role as global governor as it has done since 1945. The world has simply become too big to be governed by one power. Current trends show that divergent regional blocks and meganations are being formed. This will weaken the governance of the global economy and its security problems, increasing the risk of destabilisation over the entire planet. A period of research has begun to identify international political architecture able to keep the world stable. 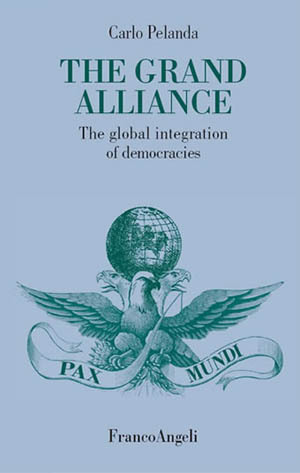 This book is part of this research and recommends the future alliance of the world's great democracies: America, countries in the European Union, Russia, India and Japan. The gradual convergence of military and economic power within these nations will produce credible global governance based on Western and technical values. But to bring this about, the European Union will have to shift from its current passive role to become an active player in international relations.